After a few months collecting feedback through the Steam Early Access, One Man Left Studios is finally releasing its cooperative deckbuilding game, Space Food Truck. In celebration, the title will be on sale for $17.99 for the next week. Mike, Nick, and I previously looked at the game during one of our regular Monday night streams and enjoyed our time with it, even though we failed to cook anything. When we spoke with the developers about the difficulty curve, it sounded like we weren't the only ones struggling and they have since implemented three difficulties into the game: Mild, Medium, and Thai Hot. That should definitely help new players get more acclimated to everything before having to deal with space meteors, narcoleptic captains, and aliens crawling through the vents every turn. 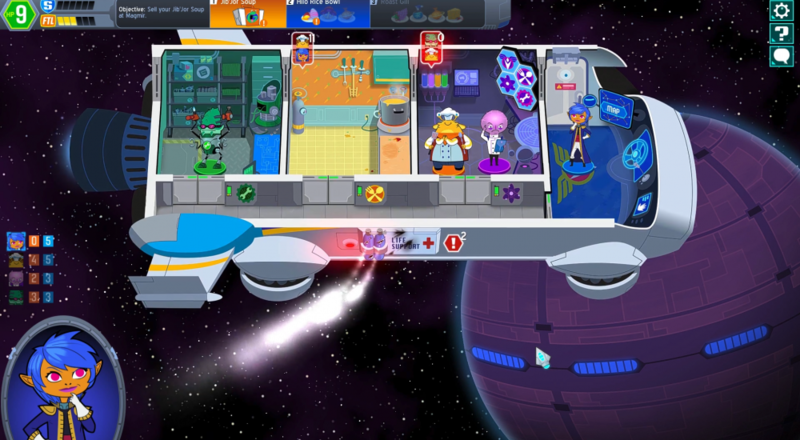 Space Food Truck is available on Steam and features four player co-op locally and online. Page created in 1.5043 seconds.